UNDATED - Other spring wheat production for 2018 is estimated at 40.5 million bushels, up 95 percent from last year, according to the USDA's National Agricultural Statistics Service. The 2018 area harvested for grain, at 965,000 acres, is up 44 percent from 2017. Producers planted 1.05 million acres, up 8 percent from 2017. Yield, at 42.0 bushels per acre, is up 11.0 bushels from 2017. Winter wheat production is estimated at 31.7 million bushels, up 52 percent from last year. 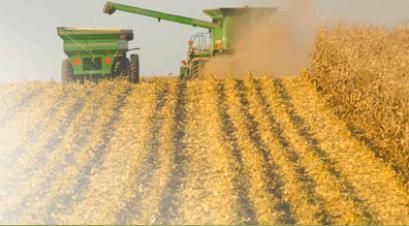 The area harvested for grain totaled 660,000 acres, up 27 percent from 2017. Planted acreage totaled 830,000 acres, down 9 percent from a year earlier. The yield is 48.0 bushels per acre, up 8.0 bushels from 2017. Barley production is estimated at 715,000 bushels. Harvested acres are estimated at 13,000. Area planted is 48,000 acres. Yield is estimated at 55.0 bushels per acre. South Dakota was added as an estimating state for barley for the 2018 program year. Durum wheat production is estimated at 84,000 bushels, down 22 percent from 2017. Harvested acres, at 3,000, are down 50 percent from last year, and a new record low. Area planted is 3,000 acres, down 57 percent from 2017, and a new record low. The yield of 28.0 bushels per acre is up 10.0 bushels from last year. Oat production is estimated at 7.79 million bushels, up 85 percent from 2017. Area harvested for grain, at 95,000 acres, is up 58 percent from last year. Planted acreage totaled 290,000 acres, unchanged from a year earlier. Yield, at 82.0 bushels per acre, is up 12.0 bushels per acre from last year.